It was a long and weird November, but The Voice of the Turtle is back to break down the MLB Winter Meetings, especially the Tigers' rather strange and unexpected lack of activity. 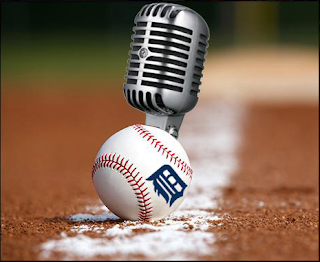 With Rob Rogacki on vacation, Bless You Boys staff writer Brandon Day joins HookSlide on this week's episode to discuss what Al Avila is really up to, whether or not he actually has a plan for 2017, and if the Tigers stand a chance of competing next season if they intend to "stand pat" and not make any major trades or free agent signings. Also in this episode, Brandon and HookSlide talk about Dave Dombrowski's major move to get Chris Sale into the Red Sox rotation, and whether the Red Sox are now favorites to win the World Series, even against the defending champion Chicago Cubs. And with the rest of the AL Central seemingly going into rebuild mode -- minus the Indians, of course -- how likely is it that the Tigers could win the division title in 2017? - Why didn't the Tigers make any moves at the Winter Meetings? - Are the Ilitch's planning to sell the team? - Is the AL Central division going to be an easy win for the Tigers in 2017? - How likely is it that Dave Dombrowski is going to win a World Series before Al Avila does? - Will Anibal Sanchez and Mike Pelfrey both be returning to the starting rotation? - How did Justin Verlander not win the Cy Young? - What's Andy Dirks up to these days? 2:41 - Rounding the Bases: does Al Avila even have a plan anymore? 1:06:12 - Into the Mob Scene at Home: how bad did Verlander get screwed? Thanks to Brandon Day for pinch-hitting on the show this week! Find Brandon's writings online at Bless You Boys, and follow him on Twitter @Fiskadoro74.